The Herceg Etno Selo Restaurant is a first-class restaurant situated in the heart of Herceg Etno Village. Along with a wide selection of famous wines such as Blatina and Zilavka, this restaurant serves a variety of local and international dishes. The Herceg Etno Selo Restaurant is located in an archaic palace with stone doorways and basements. Here, customers can dine privately and intimately, enjoy family meals, or celebrate special occassions. Restaurant Lumaris is a popular place where you can enjoy the traditional cuisine of Herzegovina. The menu of this restaurant focuses on fresh seafood, especially fish. Restaurant Lumaris serves continental breakfast, buffet-style meals, vegetarian dishes, international and local wines, desserts and delicatessen items. Go to Lumaris to enjoy a local meal when vacationing in Medjugorje. The Restaurant La Casa, located within the Sports Center of Medjugorje, is the place to enjoy local Herzegovina dishes and wines. Restaurant La Casa is the perfect place to unwind, especially during the summer because of its summer terrace facing the woods and the vast grassland of Medjugorje. Colombo’s Restaurant and Bar Medjugorje offers great wines, a friendly ambience, and excellent food, with locally grown produce and fresh catch from the sea. This is a perfect place for family dining out, as the restaurant also includes a special menu just for children. The food at this restaurant is reasonably priced, and the staff is very accommodating. 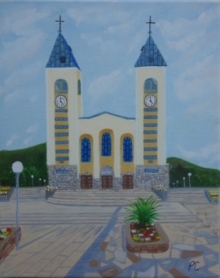 With 48 years of service, this restaurant is among the most established in Medjugorje. Perfect for small parties, Restaurant Most has a rustic atmosphere, with a summer terrace facing the River Trebizat. This restaurant can accommodate 60 people, and serves both Croatian and Herzegovina dishes. Restaurant Most offers a wide selection of homemade wines, including the well known Zilavka and Blatina.